Custom Anniversary badges to honor and commemorate your department's history. A treasured keepsake and memento for your next historical milestone! Full service from design to deliveryk, and customized to build morale and positivity within your department! Let us help you design your new departmental badge! Sun Badge Company is	a custom manufacturer ofpolice, fire and security badges and offers acomplete badge repair service. Unlike other majorbadge companies, we will repair badges from anyU.S. manufacturer. In addition to badges, we alsooffer a complete line of cap pieces, leather products,miniatures, belt buckles, medals and	insignias. Sun Badge Company has been in business for over 50 years. 50	years. We are located in Southern California andservice law enforcement, fire and security agenciesall across the country. 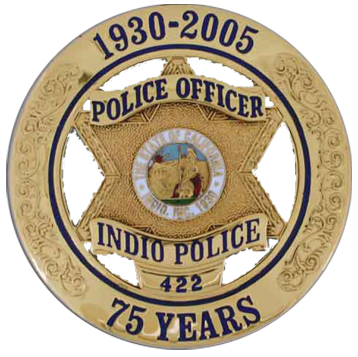 We proudly supply securitybadges and other premium products for many largemetropolitan departments such as the LA PoliceDepartment, Pasadena Fire Department, California Highway Patrol, Las Vegas Metro Police Department,and many more. Our company uses a “Single Quality Standard” for all products. We offer only the highest quality products that are superior to any others on the market. Our goal is to make and keep customers for life. Our products combine function and purpose with value and permanence. 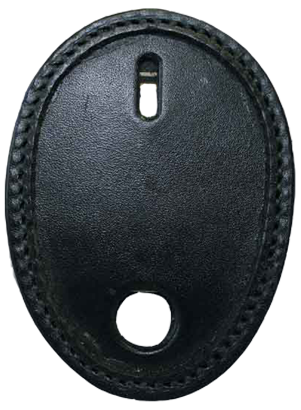 All badges and leather products are made with the very best materials available. Our badges are die struck and our leather products are all handmade. The latest technology, processes, software, and equipment are used throughout our production areas. Every production, assembly, and fabrication step is executed by Sun Badge Company personnel at our facility in Ontario, California. Please note that our Department Commemorative Badges are ONLY available to Department personnel. It is the responsibility of the buyer, without any reservations, qualifications, or restrictions to insure that any badge or other related product purchased from Sun Badge Company is used in compliance with all local, State and Federal laws or regulations. Sun Badge Company has been in business since the late 50s. During these past sixty years and into the future our vision remains the same; provide our customers with the very best product, service, delivery, and price. To accomplish this Sun Badge Company uses the finest materials available, we maintain high quality standards, strive to meet your delivery requirements, and continue to add new technology and methods to improve our products and prices with continued high quality. Sun Badge Company continues to add new products, additional services, and more importantly we listen to you, our customer. Since our inception, we have experienced steady growth and believe that our customers are primarily responsible for our success today. I would like to take this opportunity to thank you for your continued patronage,referrals, product ideas, the friendships, and your tremendos professionalism. On behalf of the entire Sun Badge Company team, we look forward to serving you and your departments needs in the future.